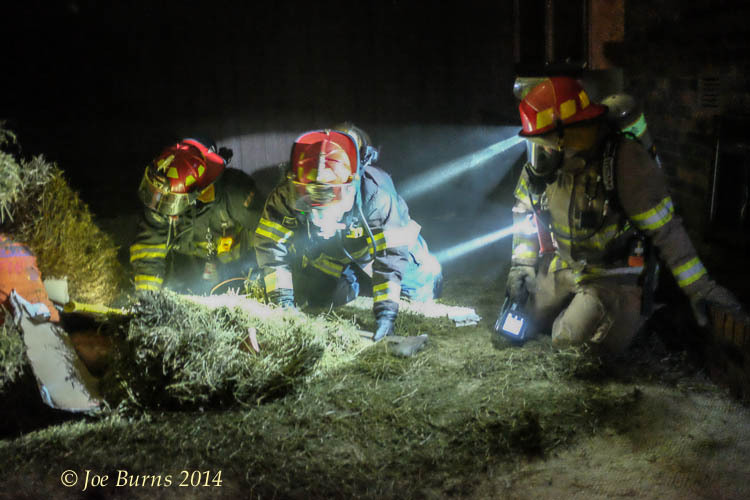 Fire fighters Brad Teeger, Ty Harness and Ryan Coufal search a dark basement for fire victims during a Firefighting 1 training class. A group of 25 fire fighters from Arlington, Blair, Kennard and North Bend are taking part in a Fire Fighter 1 certification class provided by the Arlington Fire Department. To become certified, the class members will need to complete 90- hours of class work and 30 hours of hazmat training and pass both written and skills tests. Over the next few months, the Enterprise and Citizen newspapers will follow these men and women who live in our communities as they continue their training in the classroom and in the field. 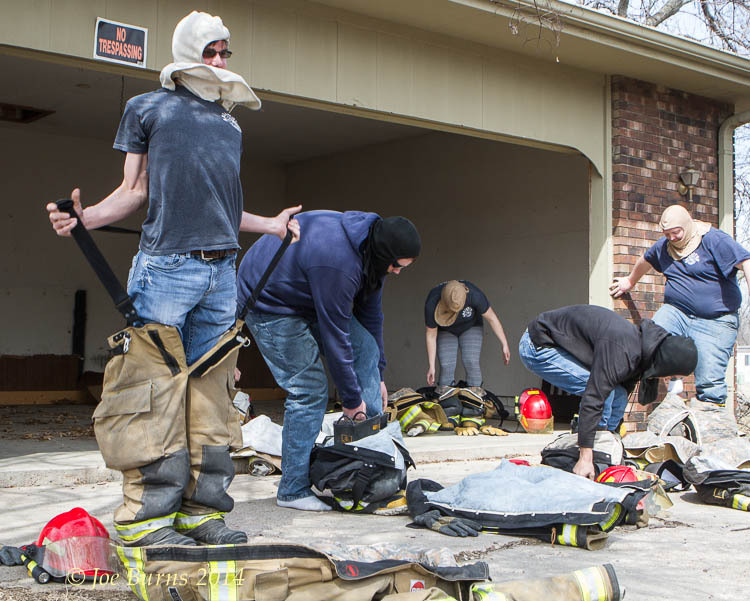 Firefighters Kevin Dunklau, Nick Shotwell, Jimmy Schollmeyer, Briana Cudly,and Jeff Hasenauer practice putting on all of their protective gear clothing and gear in less than a minute. 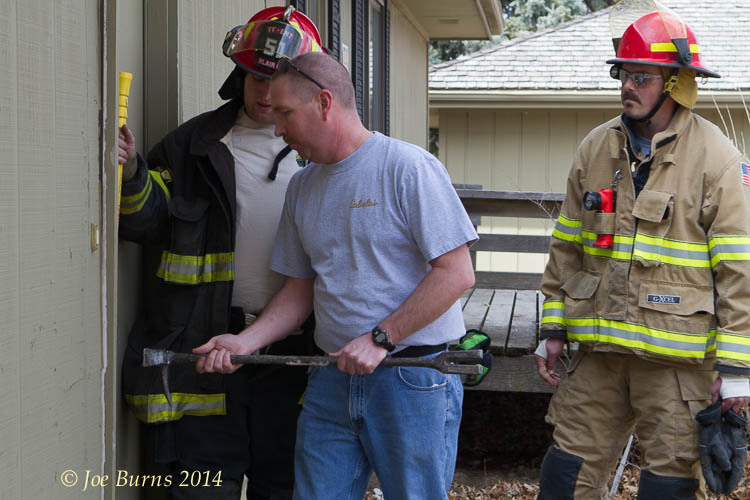 Ryan Bosshart watches instructor Tom Christensen demonstrate a forced entry technique with help from Riley Schoenfelder. Ashley Cherry and Jeff Hasenaur practice search and rescue. Fire fighters Tami Erixon and Mackenzie Thompson practice search and rescue procedures.